News | Highwire Games | Old Dogs. New Tricks. The bad news is… we’re going to delay Golem a bit longer. There’s no single reason for the delay, just a few small things that taken together make it the right thing for the game and for Highwire. We want to release a polished VR experience that we are proud of — there’s still some tuning and optimization to be done — and we’re too old for another insane death-crunch. The good news is… we’re going to delay Golem a bit longer. The game is still coming out soon and we don’t expect the delay to be very long. In the meantime, go listen to Marty’s fantastic prequel album “Echoes of the First Dreamer” or play through Moss again. We’ll let you know when we have a new date. IGN has done an outstanding job this month putting out a series of videos and articles on Golem. Absolutely required viewing for Golem fans. You can check out all their coverage at IGN.com, but here are a few of our favorites! The PlayStation video team posted “PlayStation Experience 2015: Golem Conversation” — a video they ran on the PSX live stream featuring interviews with the Highwire team as they work on the announcement trailer. Watch it for extra details about the game, some hidden secrets in the background and a cameo by one of the members of Daft Punk. 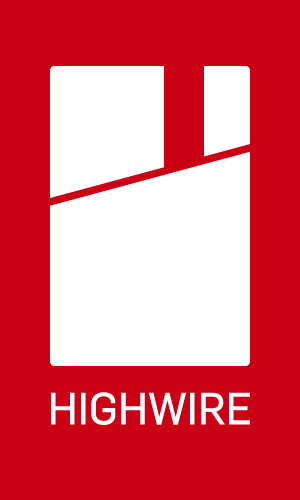 With our office mostly finished, Highwire threw an Open House for all the family, friends and colleagues (and a few fans) that have supported us over the past year. Vic DeLeon is a puzzle, a paradox, an artist composed of impossible contradictions. What do you say about a real, credentialed Master of Fine Arts that chooses to devote his career to building alien colonoscopy simulators? How do you explain that the man is a published author, professional photographer and respected speaker, but is best known for #WeirdFishWednesday. What do you make of the fact that Vic made headlines when he left 343 Industries — where he was an Art Lead and directed an army of artists on one of gaming’s most successful franchises — to quietly join a tiny studio with no pedigree — where he is currently an environment team of one? Vic is mysterious. Some might say crazy. Some might say he literally swims with sharks. Annually. And how do you introduce someone to Highwire’s fan community when they already know him so well? Why spend time promoting someone who already has twenty times the number of Twitter followers as the studio? 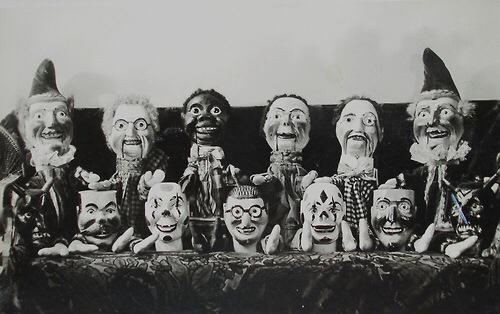 It’s kind of puzzling, actually… maybe we should just take a page out Vic’s #UnZen playbook and post black-and-white photos of creepy dolls. Halo 5, Halo: The Master Chief Collection, Halo 4, Halo: Reach, Halo 3: ODST, Halo 3, Halo 2: Multiplayer Map Pack, Halo 2, Fantastic Fossils, Biologica! Matt is an experienced gameplay programmer, specializing in player input and unusual peripherals. He was the engineer responsible for “one of the best PlayStation Move compatible titles” and helped drive early prototyping for the DualShock 4. He’s a virtual reality evangelist with an addiction to Kickstarter and a storage unit full of prototype hardware. Obviously, a valuable hire for a new studio with ambitious aspirations working on cutting edge platforms. But start to connect the dots, and it seems like he may actually be a Machiavellian puppet master with everyone helplessly dancing to his tune. Before joining the studio, before there was a studio, Matt loaned us his first-edition DK1, which really got the whole thing rolling. Matt was the first person to voluntarily leave a paying position to join the team. (Strike one. Strike two. Strike three.) Almost as if he knew how it would work out. When it was time to choose a location for the studio, we coincidentally found a place mere blocks from his loft in downtown Seattle. And this space happened to have a full-size dance floor and room for his DJ equipment and ridiculous gear. His full name is “Matthew Earl Longest” which is an anagram for “Let Not HW Games Alert”. Clearly this is a long-term plan. After years in the industry, Matt has accumulated the perfect set of skills for our current project. Or… has our project been carefully tailored to his skillset? Matt was the only member of Highwire Games that already owned a pair of red shoes before the PAX 2015 selfie contest. He always gets to work on the coolest parts of the game!